When the only thing that’ll warm you up on a cold winter’s day is something warm and spiked, a hot toddy will do the trick. Keep these recipes on hand for a quick and popular party drink, or mix one up to enjoy as you warm yourself by the fire on a bearskin rug — we won’t judge. At its base, a hot toddy is any alcohol (although there are virgin versions out there) mixed with hot water, lemon, honey, sugar and spices. Whiskey is often used — but just about any spirit will do — and there are countless variations. Here are five of our favorites from the blogosphere. 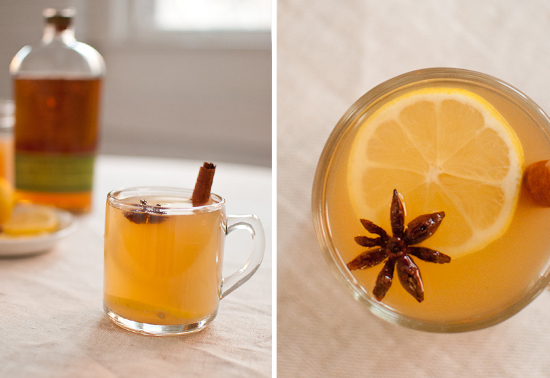 For a basic hot toddy that will cure what ails you, check this one out. The tea, lemon and honey make the perfect concoction to kick that cold. 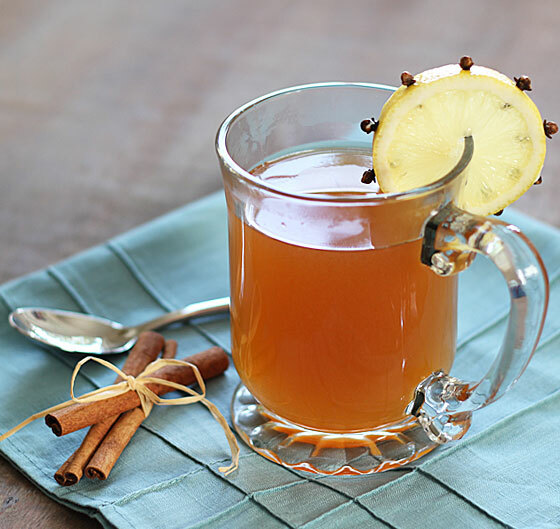 Nothing says fall and winter like hot apple cider, and this apple cider hot toddy ups the ante. 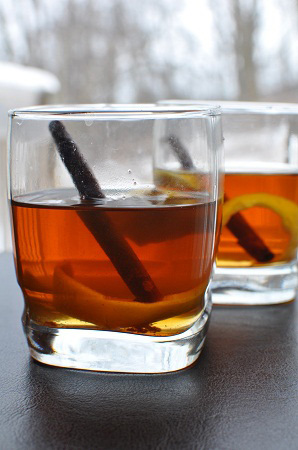 Whiskey or bourbon is mixed with hot tea, apple cider and lemon for a warming winter drink. Image: Mom, What’s for Dinner? 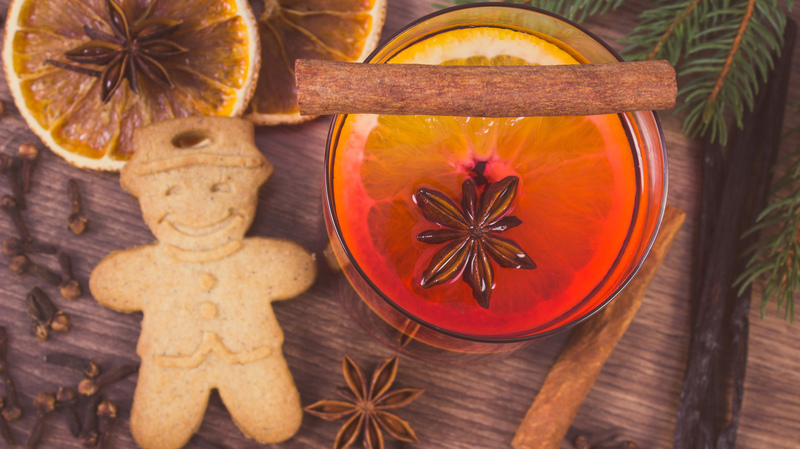 If pumpkin pie flavors in a warm, boozy drink sound like your cup of tea, then this pumpkin hot toddy recipe is for you. 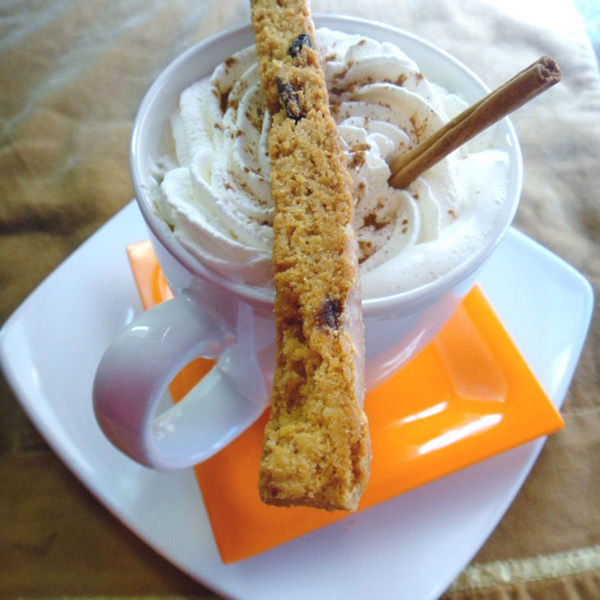 Pumpkin pie spices, spiced rum, hot milk and whipped cream on top is the perfect antidote for the winter blues. In this riff on a classic hot toddy, rye whiskey is mixed with hot water, brown sugar, honey, cloves, cardamom, lemon peels and a cinnamon stick. There are few aromas that can brighten up a kitchen or a cookie, like cinnamon. 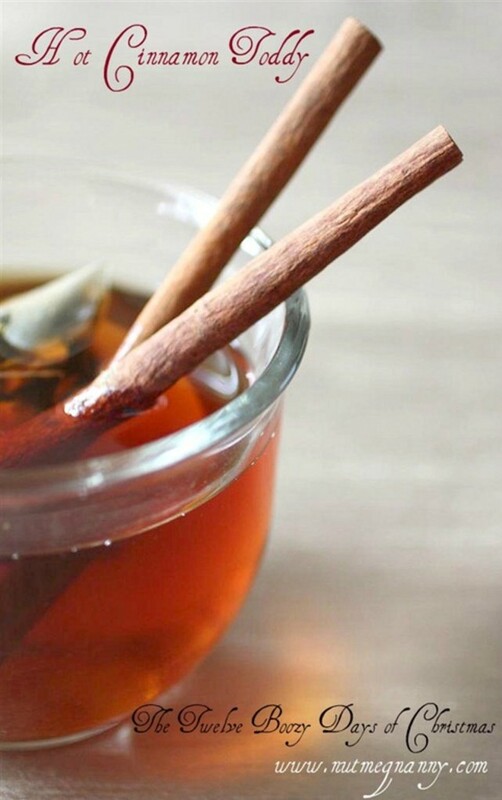 This hot cinnamon toddy highlights that wonderful spice by including cinnamon tea and a cinnamon stick along with bourbon and hot water. Originally published January 2013. Updated November 2016.